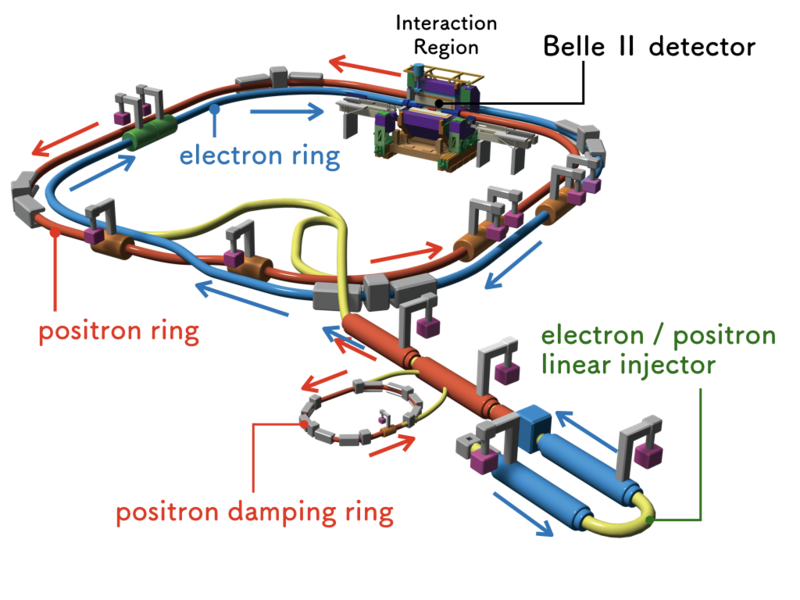 KEK has begun a new stage of operation of the SuperKEKB electron-positron collider, with a brand new positron damping ring and the Belle II detector. Electron and positron beams will begin colliding soon for the first time in 8 years, since the previous KEKB collider ceased its operations in 2010. On March 21, 2018, a beam of electrons was successfully stored in the main ring. A beam of positrons will be injected and stored around the beginning of the April, and then final accelerator tuning for beam collisions will begin. The first collisions of electrons and positrons are expected in the coming months. This is the first step toward the SuperKEKB design luminosity1, which is a factor of 40 times higher than the current world record set by KEKB. SuperKEKB, along with the Belle II detector, is a facility designed to search for New Physics beyond the Standard Model by measuring rare decays of elementary particles such as b quarks, c quarks, and tau leptons. 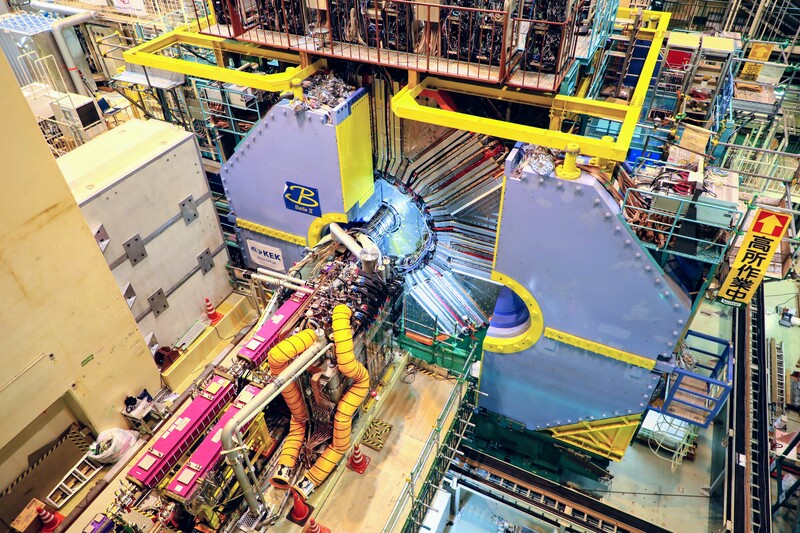 In contrast to the LHC at CERN in Geneva, Switzerland, which is the world’s highest energy hadron accelerator, SuperKEKB/Belle II located at KEK in Tsukuba, Japan is designed to have the world’s highest luminosity (a factor of 40 times higher than the earlier KEKB machine that holds many records for accelerator performance). Thus, SuperKEKB is the leading accelerator on the “luminosity frontier”. The Belle II detector at SuperKEKB was designed and built by an international collaboration of over 750 physicists from 25 countries. This collaboration is working closely with SuperKEKB accelerator experts to optimize the accelerator performance and backgrounds. Prev : Israeli Ambassador to Japan Visits KEK Tsukuba Campus for Flag Raising Ceremony Commemorating Israel's Participation as 25th Member Nation of Belle II Experiment Next : Let's keep an eye on the first collision of the SuperKEKB, the world's most-powerful accelerator !